By starting a Giving Page, you can pay tribute to a loved one, encourage someone bravely battling cancer, commemorate your special life event, and more. Here are just a few reasons to create a Giving Page to raise money for cancer research and patient care at Dana-Farber Cancer Institute. Your personalized page is your opportunity to share your story, add photos, and invite family, friends, and colleagues to make charitable gifts that support an area important to you at Dana-Farber Cancer Institute and the Jimmy Fund. 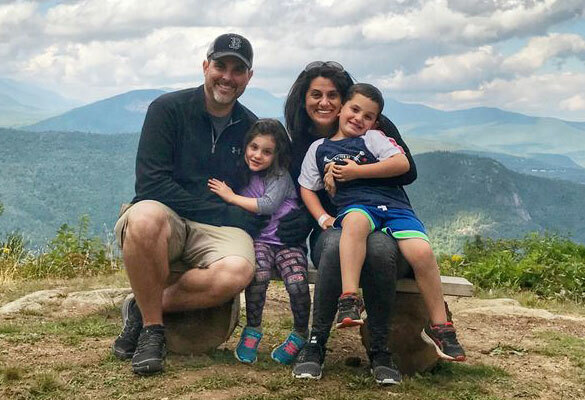 As Dane Pickles began treatment for esophageal cancer, he and his wife, Jaime, created a Giving Page to raise money to support his doctor’s research at Dana-Farber. As summer camp directors, the Pickles called upon their summer campers, family, and friends, nicknamed Pickles Nation, to reach their fundraising goal. Sharing their Giving Page in emails and social media made it easy for donors to take action and support their page. “With our Giving Page, we’ve empowered our loved ones to fight cancer together, and that gives me strength,” said Dane.